Make Positive Thinking a Permanent Asset! Enjoy the rewards of enriching happiness and enduring optimism. Live your life to its fullest with greater purpose, fulfillment, resilience, and positivity. Positive Thinking comes to you from the resources of University Health News, trusted for meaningful guidance to help men and women enjoy fuller, healthier, and longer lives. You’ll discover the permanent plus positive thinking is bringing to the lives of men and women just like you. You’ll see how you can enjoy optimism that will carry you through trying times and succ-essfully employ your inner strengths to achieve greater happiness. 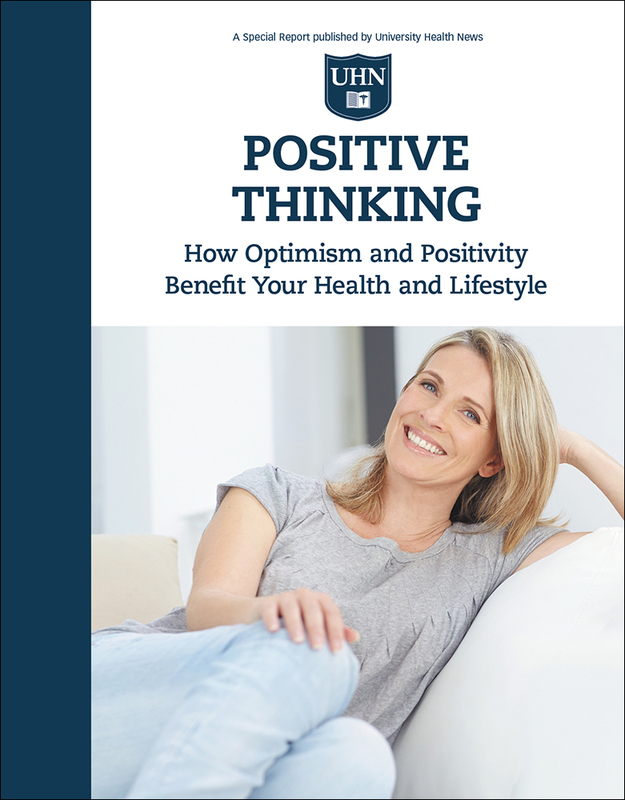 Positive Thinking offers tailored guidance for surmounting the pitfalls that stand in the way of happiness. You’ll find how to deal with negative feelings, negative news, and even negative people. The Report will help you identify your own strong points. You’ll discover the power of “flow.” And you’ll explore the role of “mind-fulness,” the ability to live fully in the moment without judgment. You’ll find welcome strategies for using positive psychology techni-ques to develop the perseverance to keep going and the resilience to bounce back. You’ll read the personal stories of men and women who have drawn strength and happiness from positive thinking. You’ll learn a powerful way to shift focus from negative to positive… how to maintain purpose…and draw greater fulfillment from each day. Benefit Your Health and Lifestyle today. You’ll be happy you did!